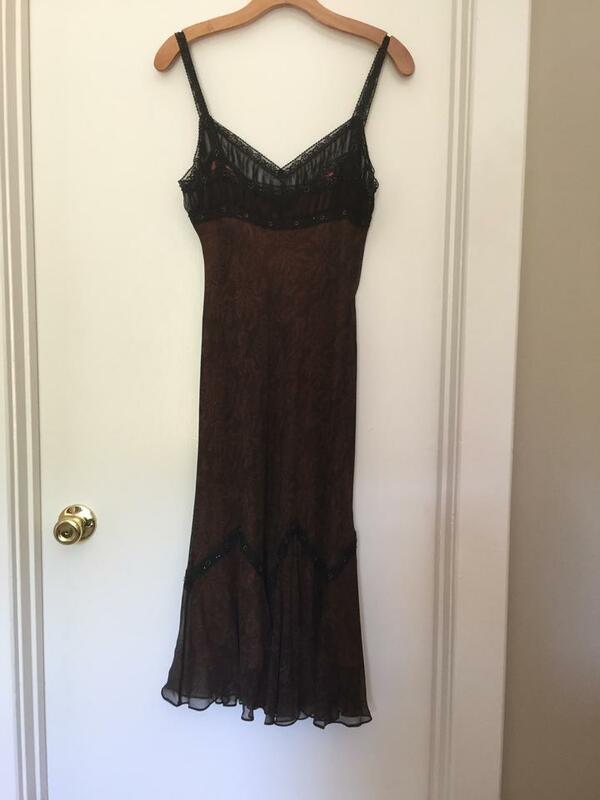 Beautiful 100% Silk cocktail dress (new with tags). 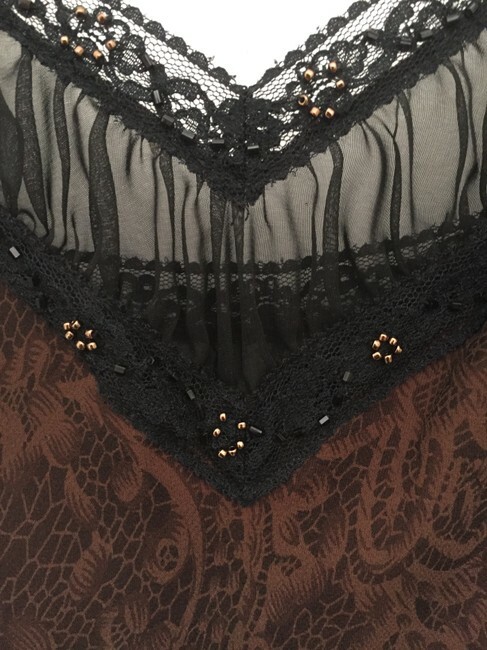 Black lace straps with beautiful beading along the lace. Lace beading also above the chest and more beaded lace along the lower part of the dress. Fully lined - 100% polyester Copper lining.